Got a love for books and a sweet tooth to match? Well you’re in luck because Better World Books, an eco-friendly online bookseller, is teaming up with Divine Chocolate for the month of November to provide free delectable chocolates in each package of books ordered. a portion of your purchase will go towards literacy initiatives worldwide, with $8.8 million raised thus far.. The company that is providing you with the tasty, delicious treats is Divine Chocolate. 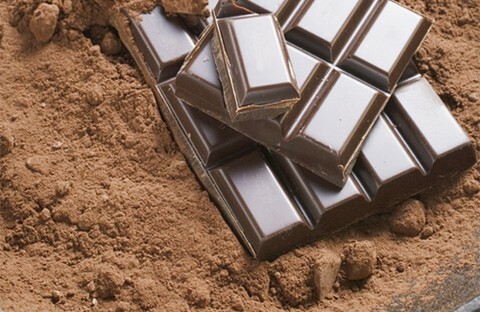 They are the only Fairtrade chocolate company that has 45% ownership by it’s farmers. The farmers that co-own this company are from Kuapa Kokoo in Ghana. The fact that the company is Fairtrade guarantees that the farmers will get a better price for their cocoa. It also provides additional income for the farmers to invest in schools, clean water, and social projects in their village. As an added bonus, the farmers also get a portion of the profits, giving them a larger voice in the cocoa industry. If all this talk about getting free chocolate and buying used books has you fired up about greening your love for reading, then check out some other ways to get used books or give away books that you have read. So whether you’re a mystery buff, sci-fi nerd, or just a lover of any and all books, be sure to take advantage of this delicious deal. I’m an outdoorsy and recently graduated from college yogi. In the past few years I’ve learned lots of simple steps to becoming greener and have found living green to not only be rewarding, but easy. I hope to pass on some of these simple ideas to you too!